There are new reports via the Google Places Help forums of business owners claiming they are being charged a few for their photos to show up in Google Maps. When I look at my billing history I see a charge for our Places ad and then I also see and additional charge for $25 for "photos". I never saw anything that indicated that having photos would cost additional money. Can someone at Google Places please explain? Cant find and email address for Places support either. Very frustrating! The thing is, Google did charge a monthly fee of $25 per month for Google Maps Tags but not photos. Plus, Google recently discontinued this program completely. Almost a year ago, we reported of companies trying to con others into paying them to place photos in their Google Maps listings. So this is nothing new in general. I do not see how Google would label a charge for "photos" in the maps invoice. 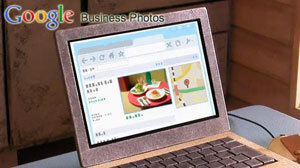 Also, the new Google Business Photos program is also completely free. So I have to assume this is a scam or a misunderstanding by a couple users.